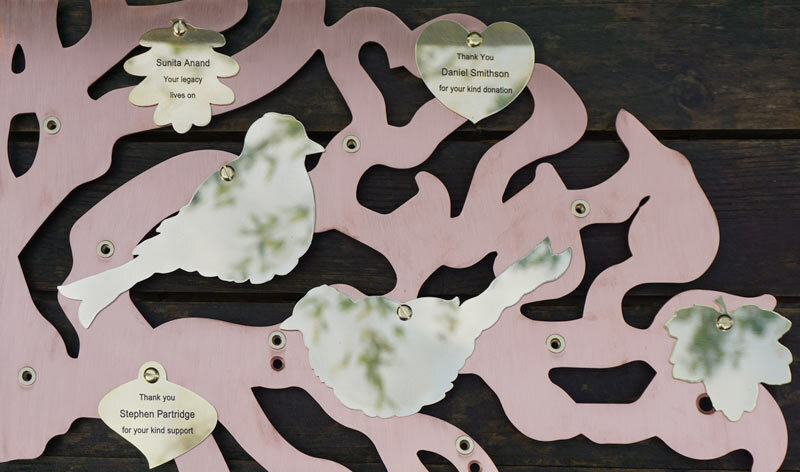 Brass Bird plaques designed by Bronwen Glazzard for use with any of our copper Fundraising Trees, They can be mixed and matched with any of the leaf plaques and are intended to complement the leaf plaques, rather than cover a whole tree. Perfect for recognising particularly high value donations. As well as displaying on any of our copper fundraising trees, they can also be fixed directly to a wall or display board. They are also perfect for hanging in the branches of a real tree too, making them incredibly versatile. • Sufficient room for up to 6 lines of text. • We are quite flexible and will always try to achieve the result you want. Please use the images for guidance only. The actual amount of text we can fit on can vary depending on the use of characters and capital letters. If we run into any problems we'll discuss them with you before engraving. Remember that SPACES COUNT as characters too. Your purchase will be dispatched by 1st Class Post FREE of charge. All prices include mainland UK delivery. Please enquire for oversea destinations.